The first library began in 1917, sponsored by the Phoenix Club and housed in the Stonewall County Courthouse. In 1940 the expanding work of the county made it necessary for the court to call for the room and the Library was moved to Hotel Stonewall until 1942 when the library was closed and all the suitable books were donated to the public school library. During the sixties the Phoenix Club voted to cash their matured war bonds to purchase a building for the Little Library. In 1966 the County Judge and County Commissioners voted to sponsor the library and the name was changed to Stonewall County Library. 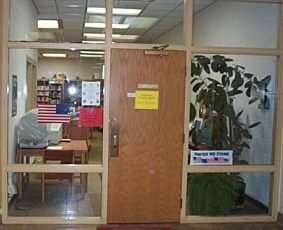 The library was relocated several more times until 1983 when it was moved to a new and beautiful brick building housing the Stonewall County Activity Center as well as the library. 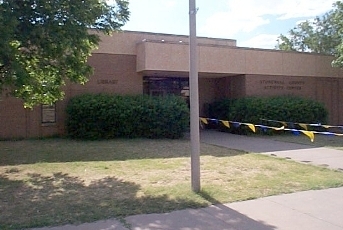 Stonewall County Library qualified for membership in the Big Country Library System in 1981 the same year Kewpie Duncan became our first certified county librarian. Many dedicated people freely gave of their time, energy and money to bring our library to the place it is today and for that we are truly grateful. Stonewall County Library has something to offer everyone. Stonewall County Library provides an inclusive and welcoming environment for life long learning and enjoyment with access to informational, recreational and educational resources. With this mission in mind, the library offers our patrons a collection of over 10,000 cataloged titles including popular fiction, non-fiction, large print, audio, video, reference, youth titles and children's titles. We also provide a large collection of popular paperbacks and current journals. If we don't have what you need, we offer the interlibrary loan service to patrons in good standing. We now offer to our patrons WiFi as well as high-speed Internet from five patron computers with access to a color printer. We also offer faxing and copying at a minimal cost. Throughout the year we sponsor classes and programs of interest to every age group. We also house a small collection of large-print and audio titles at our local nursing facility.